There are so many ways to volunteer! Volunteers are integral to the success of Habitat for Humanity Niagara. We offer a variety of diverse volunteer opportunities that will fit with many different schedules and skill levels. 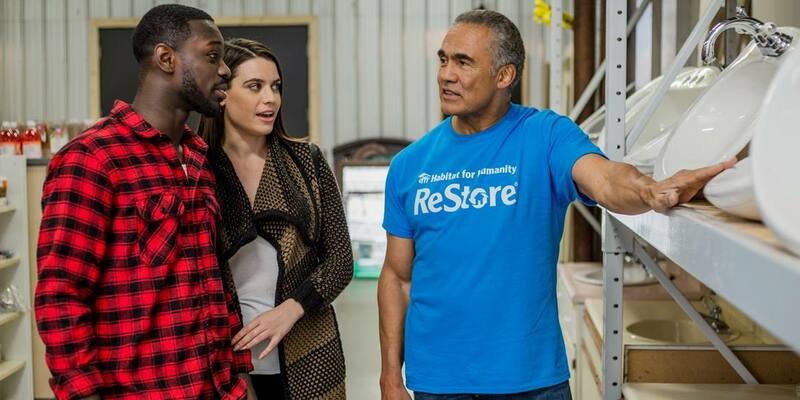 Our ReStore volunteers assist with a number of different tasks including preparing donated materials for resale, sorting and pricing merchandise, product repair and cleaning, customer service/sales, warehouse support, merchandising (organizing and stocking shelves), and store cleaning/maintenance. Volunteer opportunities are available from Monday - Saturday 9:00 am - 5:00 pm. Handy with a hammer? The Salvage Team may be a perfect fit for you! Help remove kitchens, bathrooms, doors, windows and other sellable items from homes that are being renovated. These items are then brought to the ReStore for resale. Heavy lifting required. Home renovation experience is an asset, but not required. If you have experience in flooring, trim, framing, painting and minor repairs - we're looking for you! Our Construction Volunteers help fill the gaps before and in between our Habitat Build Days and assist our Construction Manager. Build sites are all across the Niagara region and only during limited times of the year. Site Hosts are on the build site and responsible for registering the Habitat Build Day participants, taking photos, picking up/serving lunch and ensuring participants are enjoying their experience. Once your application has been received, you will be contacted by our Volunteer Manager to arrange a time for an interview. Interviews take place Monday to Friday 9:30 am - 4:00 pm. For more information on volunteering, please contact volunteer@habitatniagara.ca call 905-685-7395 x402. The Habitat for Humanity Canada Global Village Program lets you travel abroad while building a home for a family in need of safe, decent and affordable housing. Trips are scheduled throughout the year to countries like Kenya, India, Thailand, Romania, El Salvador and Costa Rica. Find out more on the Global Village website.